Dog lovers and book lovers will not want to miss Tom Ryan’s talk and reading at the WCA at 7 p.m. on Thursday, April 27. Jointly sponsored by the WCA, Morgan Hill Bookstore and Wilmot Public Library, the event will take place at the WCA’s Red Barn at 64 Village Road in Wilmot. The author of New York Time’s bestseller Following Atticus, Ryan will talk about and read from his latest book, Will’s Red Coat. This new book chronicles his life with Will, a deaf and mostly blind dog. 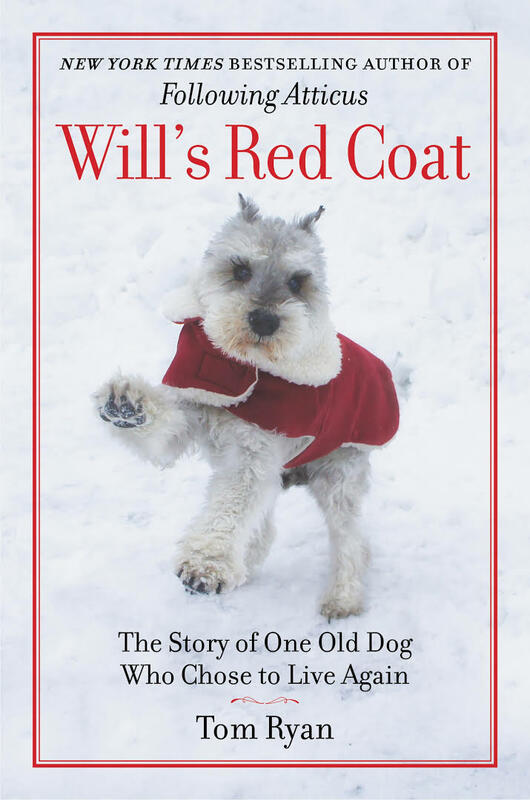 Beautifully written, Will’s Red Coat is both heartbreaking and uplifting. A story of patience, empathy, and love, Ryan shares the challenges and rewards of adopting an elderly dog. “The WCA is delighted to be part of Ryan’s book tour for his new memoir,” says Nancy Large, president of the WCA. In addition to listening to Ryan, you will be able to meet his dog Samwise and get your copy of Will’s Red Coat signed. Books will be available for sale from Morgan Hill Bookstore. This entry was posted in WCA Events, WCA News, Wilmot and tagged Book Tour, Reading, Tom Ryan by admin. Bookmark the permalink.